Rebecca Rodgers joined Disability Rights Advocates in 2013 as a DRA Fellowship Attorney, and became a Staff Attorney in 2015. Her litigation practice focuses on advocating for persons with all types of disabilities in the fields of transportation, access to technology, emergency preparedness, and health care. Ms. Rodgers received her J.D. from The George Washington University Law School in 2011 and her B.A. from The George Washington University in 2008. 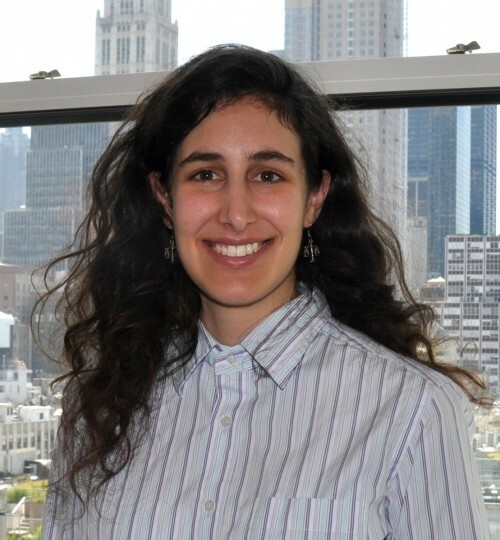 Prior to joining Disability Rights Advocates, she was the 2012-13 Disability Rights Fellow at Brown, Goldstein & Levy LLP in Baltimore, where her practice focused on impact litigation to ensure that blind individuals have equal access to emerging technology. Ms. Rodgers also worked at the DC Volunteer Lawyers Project. During law school, she interned with Americans United for Separation of Church and State and the ACLU of the Nation’s Capital, and she represented clients in unemployment insurance and wage and hour cases as part of the Public Justice Advocacy Clinic. Ms. Rodgers is admitted to practice in all New York courts, the U.S. District Court of New York (Southern and Eastern Districts), the U.S. District Court of Maryland, and the U.S. Court of Appeals (Second and Fourth Circuits).